BILLY JOEL is a dynamic live performer as can be seen in the video to the right, Billy Joel: Live Through The Years. In the early 1970s, he was accompanied by Larry Russell, Rhys Clark and Don Evans. During the mid 1970s, his band consisted of Liberty Devitto, Richie Cannata, Russell Javors, Doug Stegmeyer, and Howie Emerson. Guitarist David Brown joined in 1980. Saxophonist Mark Rivera joined in 1982. Over the years, Billy's band has included others such as David Lebolt, Mindy Jostyn, and Schuyler Deale. The current band consists of Tommy Byrnes, Chuck Burghi, David Rosenthal, Mark Rivera, Crystal Taliefero, Andy Cichon, Carl Fischer, and Mike DelGuidice. See Wikipedia. Supporting Billy for over 40 years are his longtime sound producer, Brian Ruggles, and lighting director Steve Cohen. Dennis Arfa has worked as Billy's booking agent for just as long and has helped make Billy's concerts some of the most sought after concerts in the music industry. The list below consists of albums of Billy's live concerts and performances that were officially released in the United States (except the fictional "Live in Miami" (2017)). Also, the first two albums listed below, Live on WMMR and Live at Carnegie Hall were not released as separate albums but were released with the Legacy Editions of Piano Man (2011) and The Stranger (2008), respectively. Billy performing live through years. Mark Rivera, Crystal Taliefero, and Carl Fischer (2007). This promotional album contains four songs recorded from Billy's 1976 concert at Palmer Auditorium, Connecticut College. 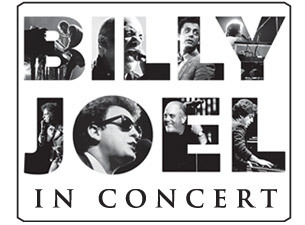 The concert was released on VHS as Billy Joel Tonight (see the Videos & DVDs page). Billy's box set of B-side and rarities, My Lives (2005), also has several previously unreleased live tracks or ones only available as B-sides. And the all-star concert albums such as America: A Tribute to Heroes (2001) and The Concert for New York City (2001), and 12-12-12 The Concert for Sandy Relief, contain live performances as well. Billy's set at the Concert for Sandy Relief was considered something of a comeback for him, and his set was widely considered the most energetic and applauded. In addition to these official releases, there are of course many bootleg CDs out there including some of Billy's more famous concerts from the 1970s such as Live at Hempstead's Ultrasonic Studios (1971), Mar Y Sol Festival (1972), Live at the Bottom Line (1977), Live at Sydney Opera House (1976), Live at The Capitol Theater (1976) , Live at C.W. Post (Long Island University) (1977). Unfortunately Billy's Face to Face concerts with Elton John have never been officially released on DVD or CD in the United States. There are, however, several other live concert videos and DVDs. See the DVDs & Videos page. 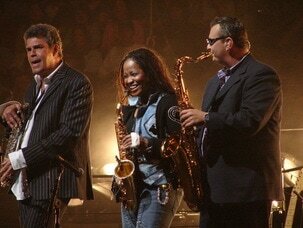 One can also find videos of Billy Joel concerts on YouTube, see Concerts on YouTube.